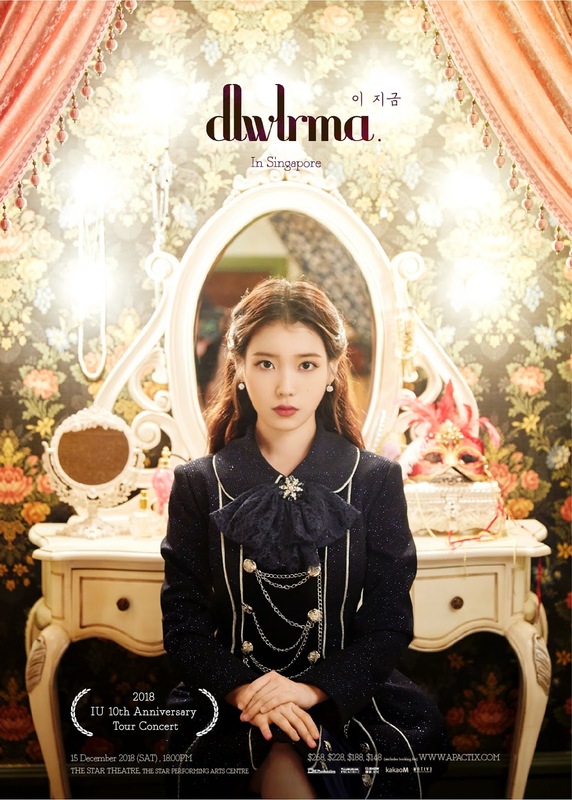 K-Pop sweetheart IU will be making her maiden appearance in Singapore with her 10th Anniversary Tour Concert <이지금 dlwlrma> on 15th December at The Star Theatre, The Star Performing Arts Centre! UAENAs who have been eagerly anticipating for the vocal powerhouse's visit to Singapore, are in for a night of romantic performances by the talented songstress! IU, also known as Lee Ji-Eun, South Korean singer and actress, made her debut when she was 15-year-old with the album 'Lost and Found;. Her subsequent releases, 'Growing Up' and 'IU...IM' gained mainstream success but it was through 'Good Day', the lead single from her 2010 album 'Real' where she became a household name and established herself as one of the top sellign solo artistes in Korea. Furthermore, with her girl-next-door image, IU has been dubbed the Nation's Little Sister, a title which shows the public's love for her. IU will kick off her 10th Anniversary Tour <이지금 dlwlrma> in Busan, followed by shows in Kwangju, Seoul, Hong Kong, Singapore, Bangkok, and Taipei. The title of IU's 10th Anniversary Tour Concert, '이지금 dlwlrma', corresponds with the position of the keys on a Korean keyboard when you type '이지금 dlwlrma'. It has a special meaning as one of the singer's most well-known nicknames, and IU has acknowledged this by using 'dlwlrma' as her Instagram username. Fans in Singapore will soon get to hear her honey-like vocals on 15th Dec at The Star Theatre. This will also mark her maiden visit to our sunny city! Available at Singapore Indoor Stadium Box Office, The Star Theatere and all SINGPOST outlets. For more info, please visit ONE Production Facebook page.